This article was originally published on Scott Hollier’s blog. 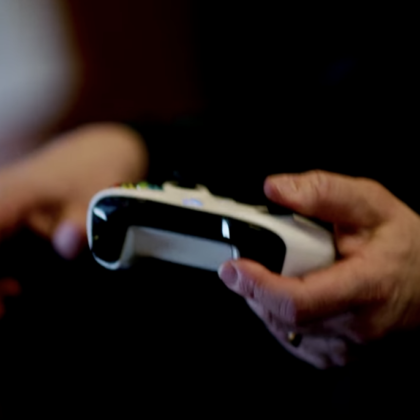 Microsoft has announced its upcoming release of a game controller designed specifically for people with disabilities. The Adaptive Controller for Xbox can be connected to external buttons, switches, joysticks and mounts, giving players with a wide range of physical disabilities the ability to customise their setups. Although the focus of the controller is for Xbox, it can also be used with a Windows 10 PC. The project was developed by Microsoft in collaboration with AbleGamers, Warfighter Engaged, SpecialEffect, Craig Hospital and the Cerebral Palsy Foundation. While the controller is not the first to be designed with accessibility in mind, it is the first time that a major corporation has provided support to the concept, making the product available at a more affordable price. Technical specifications for the adaptive controller include two oversized programmable buttons, 19 3.5mm input jacks and two USB ports, allowing disabled gamers to easily connect special joysticks, switches, and any other tools they may need. For homes with multiple gamers with limited mobility, the Adaptive Controller has three custom profiles, making it easy to switch between user preferences. The controller will launch in the US for just under $USD100. There is currently no pricing or launch date for the controller in Australia. Additional information can be found on the official Microsoft adaptive controller website.